Just like all pets, guinea pigs need a constant supply of fresh, clean water to keep them healthy and help you prevent different disorders and diseases. This is why your guinea pig cage needs the best guinea pig water bottle. Water bottles are considered to be a much better option than water bowls because bottles keep the water fresh and clean while water in bowls soon gets dirty, contaminated and generally unhealthy for cavies. If you have a cage with multiple levels, you should consider installing a water bottle on every level so that your cavies are never thirsty. Unfortunately, despite the wide choice of bottles, you can’t just grab the cutest one and expect it to perform well. It needs to meet a few important standards in order for the bottle to fulfill its purpose efficiently and with no hassle for you. What Makes The Best Guinea Pig Water Bottle? Such a simple product, a water bottle needs to be of good quality, well made and practical. First off, it needs to make drinking water an easy activity for cavies. 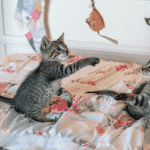 Secondly, it needs to be leak-free in order not to wet the bedding or drip around while you are refilling it. Lastly, it must be easy to install in the cage so that it stays firmly in place and at a perfect height for the piggies to use. Now, the water bottle itself consists of the top cap with a metal spout ending with a metal ball which the cavies push back into the spout in order to drink. After every sip, the ball rolls back at the bottom of the spout to seal it. If the ball is too big or has a badly machined surface, it will jam the spout and no water will come out. If it’s too small, the spout will leak water into the cage until the whole bottle is empty. So you need a top cap which tightly closes the bottle and the ball which is the perfect size to make it easy for the little piggies to clench their thirst. All guinea pigs water bottles consist of a small tank with an angled drinking spout at the bottom. Why is the spout made of stainless steel? Well SS makes it next to impossible for your guinea pigs to damage. 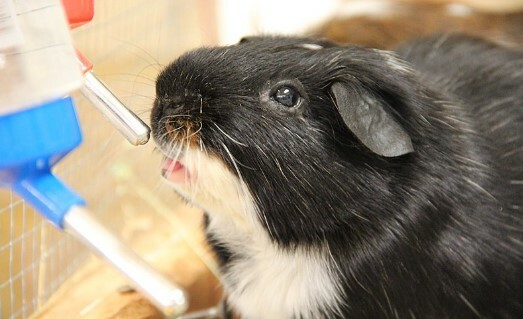 Since cavies love to chew everything, stainless steel spout is the only solution which works. The bottles themselves are mostly made of plastic. 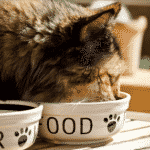 They should be of sufficient volume (mine is 17 liquid ounces) to hold sufficient supply of water for the pet, or pets. Another convenient bottle feature is the graded levels so that you can see how much water is left. If the plastic is transparent to a certain degree, it’ll make it even easier for you to see when the time to refill the bottle comes. The bottle should be easy to attach to the cage using the clip provided. The clips vary in materials and I’ve found that the most practical is a simple elastic metal bracket which goes around the bottle and keeps it firmly in place on the outer side of the cage. The top cap should provide a reliable, leak-free seal as the bottles usually hang upside down. The positioning of the bottle needs to be ideal as regards the height: if you put it too higher piggy will have to stretch to reach it and if the spout end is too low, the pet will need to duck down in order to drink. You should install the bottle it away from your cavy’s sleeping area, to decrease the chances of water leaking onto the bedding. A good idea is to put the bottle near their food. Do not put it too close to avoid their food getting wet. If you take the cage outside, don’t keep it in the direct sunlight, because this will cause algae to grow. The water will also get warm and unpleasant to drink. While water bowls easily get contaminated, the bottles will keep the water fresh and lean. You do need to clean the bottle using a soft water bottle brush once or twice a week. Do not wash the bottle using water which is too hot as the bottle may get distorted in shape and you will lose the tight seal needed to prevent leaks. If you use a mild cleaning liquid, do rinse the bottle out thoroughly after washing it. In addition, you must also clean the spout as well to make sure there are no blockages. Don’t forget to check that the nozzle isn't damaged and that the ball bearing is working properly. Push it gently with your finger to make sure that the water is going out nicely. Choco Nose H128 Patented Small Animal Water Bottle comes with a U.S. patented leak-proof nozzle and has 11.2 liquid ounces capacity. This water bottle uses a leak-proof nozzle to provide clean and fresh water to your small pet without wetting the bedding or dripping around your floor or carpet. The environmentally-minded choice of materials is another plus on our pros list. The nozzle is designed to fit most regular PET bottles so you can easily replace the original bottle with any other safe container. The Choco Nose Small Animal Water Feeder Bottle features a multifaceted bracket that can be screwed onto your pet’s cage. 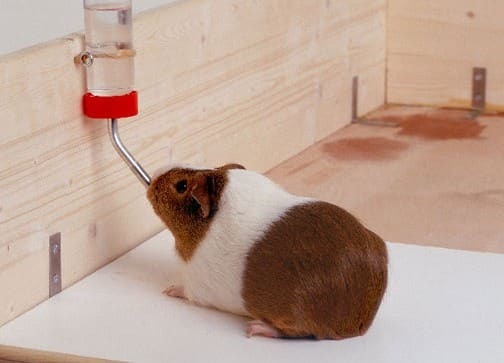 It can also be mounted on any wall and secured with screws or nails so that your cavy can drink while having a daily snoop around your home or getting some exercise while you are cleaning the cage. It’s BPA free feeder which is most reassuring for guinea pig lovers. The small nozzle is also suitable for hamsters, mice, gerbils, rabbits and other small pets. You will appreciate the ease with which snaps off when it’s time to take off the bottle to refill it. If you want to provide your pet with a safe and effective source of fresh and clean water, Choco Nose H128 Patented Small Animal Water Bottle is one of the best products available. What’s more, your guinea pigs will love this bottle and their cage will no longer be wet all the time! LIXIT Plastic Wide Mouth Water Bottle features a thick-wall bottle made of weather resistant Polyethylene. It comes with a stainless steel, large ball-point spout. Unlike some bottles which are sensitive to the sun, this model will perform well even if you keep your cage outside on sunny days. The bottle will not lose shape or develop leaks. In addition, you get a special silicone seal which will effectively prevent leaking. This bottle is eah, this is the easiest bottle to clean overall. When you fill it with water, make sure it’s almost completely full to get the best vacuum performance. Once you turn the bottle upside down, a drop or two is normal until the ball seals the spout. Other than that, there should be no leaking. With generous 32 liquid ounces capacity, you will no longer need to refill the bottle a few times a day and your piggies will have a constant supply of fresh water. The bottle is opaque so you can see the water level. The mounting on the cage is easy and quick and so is the detaching when you need to refill or clean the bottle. However, this bottle is made of a rather soft plastic, so in some cases, it may have deformed over rather short time and developed leaks due to imperfect seal between the cap and the bottle.sy to fill and easy to clean with a medium-size water bottle brush. Featuring a wide mouth. Little Giant Farm & Ag Miller 32-Ounce Water Bottle is made of plastic with a stainless steel ballpoint tube which prevents water from leaking while allowing your pet to drink fresh water at all times. The transparent design lets you easily check the water level. You can easily attach it to any cage. It's convenient for guinea pigs, rabbits, ferrets, and other small animals which need a constant water supply. The bottle has a chew-proof nozzle and comes with the bracket so that you can hang it on the cage. The capacity is 32 liquid ounces which means you won’t need to refill it that often. You need to clean the bottle regularly with warm water and make sure you put the cap on tight to prevent leaking. If the leaks do develop, there isn’t any particular fix, unfortunately. So, make sure to keep the nozzle and the ball in good condition and clean. On the plus side, large water bottles like Little Giant Farm & Ag Miller 32-Ounce Water Bottle have a larger nozzle which lets more water come out so your cavies won’t need to work as hard to get the water to come out. They will never be thirsty or fed up of sucking. Flammi Pet Water Bottle has a capacity of 15 liquid ounces of water and comes with clips on the top so that you can hang it on one of the horizontal bars of your piggy’s cage. However, because of this design, it may not fit all cages. This is why you need to take the specs of the clips into consideration: the 2 top clips are about 0.6" long x 0.4" wide and are 1/5 of an inch apart. So if these dimensions as well as those of the bottle (about 6.5" (Height) x 2.7" (Diameter) x 2.8" (Tube length)) u can consider buying it. Otherwise, you should go for a traditional design with a bracket which keeps the bottle attached to the cage. To prevent leaking (which is sometimes the case with water bottles), you need to wash the bottle with clean water repeatedly before the first time you use it. When you fill the bottle with fresh water and tighten the bottle cap, make sure to hold the bottle upside down and press the bottle body to let out the air trapped inside the bottle. The next step is to hold the bottle upside down and plug up the nozzle. Then shake the bottle up and down several times to release the air in the nozzle. You can also try flicking the ball for a few times and this should stop leaking after a few drops. Also, when you hang the bottle on your guinea pig cage, it may leak a few drops until the pressure inside and outside the bottle is balanced. In general, this bottle performs as it should and for the most part does not drip, however, it is a little difficult to thread the lid on properly. The lid tends to get lopsided and pop off when you try to tighten it the whole way. Another con, because of the design, the nozzle doesn't stick very far inside the cage, and your guinea pigs might have to work a little harder to drink from it.